Native Americans started the tradition of using White Sage to ward off negative energies. It has also been used in ceremonies to seek blessings of health and prosperity, banish spirits, encourage protection. White sage can amplify any clearing and protective techniques that you are already using. As a plant, and a living being, sage also has a Spirit. The Spirit of sage is dedicated to offering protection, blessings, and clearing. Large abalone shell with a 4" white sage smudge stick. 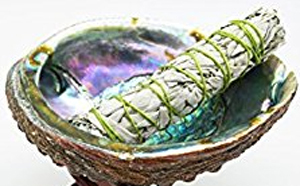 Use the Abalone Shell to place your White Sage in during burning. Are you attracted to or do you enjoy working with the Magickal energy of the Fae? 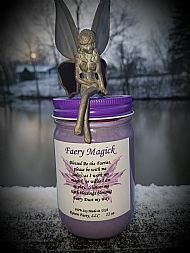 I know I do so I am pleased to bring to you my new "Faery Magick" candle! This gorgeous, glittery and beautifully scented candle was created by hand just for Raven Faery right here in the USA. 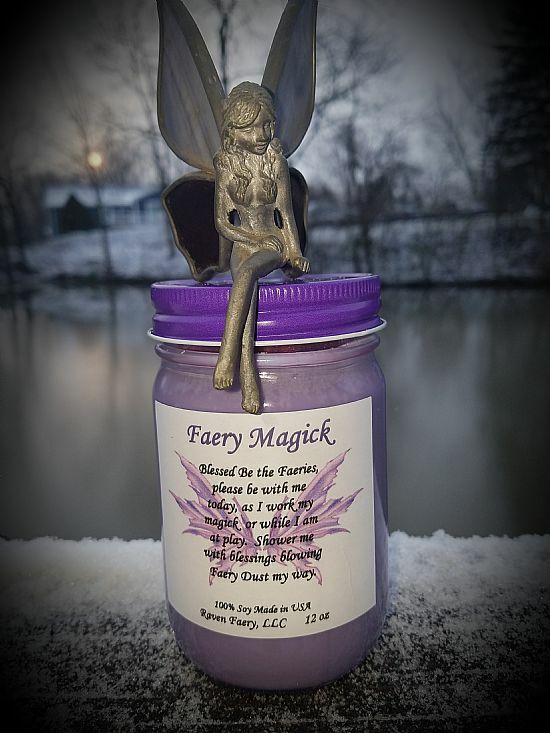 "Faery Magick" is made with 100% Soy wax intertwined with beautiful floral oils and essences such as Wisteria. In addition, I created an affirmation specifically for calling in the energy of the Fae to help with whatever Magick you are working in a pinch. This newest Magickal item is perfect for anytime you wish to bring a bit of Magick into your home or sacred space as well as for gift~giving. I know you will love it just as much as I do! (NOTE: Safe burning instructions as well as other pertinent information is listed on each label). 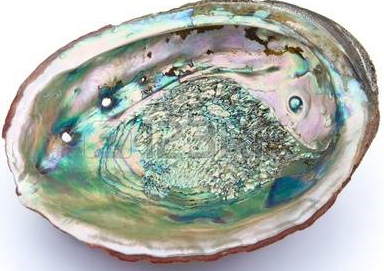 These beautiful Abalone Shells are traditionally used to lay your smudge stick in during your ceremonies. They are also great for holding your stones and crystals. Palo Santo is a sacred wood that comes from the magical Palo Santo tree, native to the coast of South America. Its name literally means holy wood, and it is just that. When it is burned, the smoke is believed to have both medicinal and therapeutic healing power. Traditionally, it is burned for spiritual purifying, energy cleansing and healing. Some of the most well-known Palo Santo uses include inspiring creativity, protection, clearing negative energy and bringing both love and good fortune. It is a wonderful tool to use before and during your meditation. Its uplifting scent helps to raise your vibration to bring a deeper connection to the Earth and your divine source.